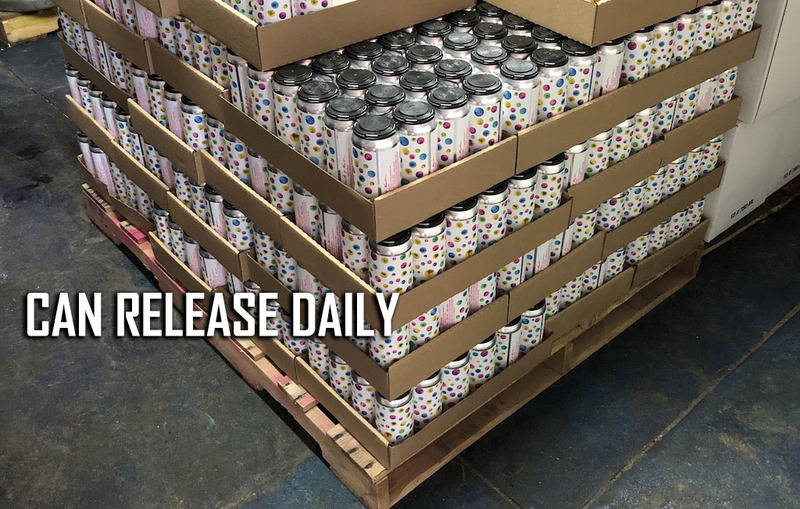 Can Release Daily 2/7/19 – Equilibrium, Wren House, Moksa and More! Here is the latest edition of Can Release Daily! We’ve always appreciated centralized information, and here we have some of the hottest can release drops around the country bundled in one post. We understand that these cans might be long gone by the time you read this, we hope this also serves a purpose by showing you what you might want to trade for in the next week or two. Please give us feedback on who we should be looking out for. Here is some info from Equilibrium, Wren House, Moksa, 450 North, Dancing Gnome, Commonwealth Brewing, Bearded Iris, Half Acre, Birdsong Brewing and Burial Beer. We are pleased to introduce Mass x Acceleration (8.0% ABV) this Saturday 02/09 from 11:30AM – 6PM, at the brewery. $20 per 4-pk, Limit 1 case per person, limits subject to change. Mass x Acceleration, or Force, is the next in the series following Governing Forces and dC/dt that examines the basic properties of our new hardware. Mass x Acceleration is the first time we’ve blended massive doses of two of our favorite hops: Mosaic and Amarillo. This juicy elixir pours a glowing tangerine color with aromas of dank orange juice with that melony EQ juice thing. The taste is orange/mango for days and melon flavored gummy bear juice. We will also have a brand new batch of Photon, our Pale ale at $14 per 4-pack. This bad boy hits aluminum and draft today. . . . Lull is a 5% pale ale lodes with nothing but Nelson. Think Wishbone, but with the grape and berry goodness of Nelson. . . . 65 cases alongside cans of Pounce and Tentacle Squad. . . . @pghtortas rocking the curb out front! All By My Selves – 10% – Imperial Stout conditioned on coconut and vanilla – Friday, February 8, 2019, 4pm. $20 a four pack, all you can carry. ⁣ ⁣ This deluxe style stout was conditioned on a Forest & Main level of coconut and vanilla. It features notes of chocolate rum drinks, fudge fermented brownie batter, flourless chocolate cake, Cuban coffee, charred oak, and coconut. FRIDAY: Smoking Gull Pale Ale is back in cans. A glowing pale ale that layers hopping techniques without losing sight of bAlAnCe. The halls of the brewery reverberate with chants for the Gull…… Pilsner, Vienna, flaked oats. 3lbs per barrel Citra and Mosaic. London III yeast. Powerful overripe citrus, mango and papaya. 5.3% $12.99/ 4pk 16oz cans, only in our shop or Balmoral taproom.